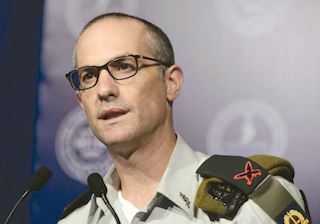 The legal chief of the Israeli Defense Forces (IDF), Brigadier-General Sharon Afek, has said that the IDF should be wary of taking advice on international law from, as he described it, the many law-breaking nations which routinely hijack the United Nations Human Rights Council (UNHRC) to turn it against Israel. Afek was responding to the UNHRC’s condemnation of Israel and the IDF in mid-May because of their conduct during the Gaza border crisis. The comments were part of a statement made on Monday at the Israel Bar Association Conference. Afek claimed that the UNHRC had characterized the IDF’s legal establishment as “defective” and had set up its own commission of inquiry into certain incidents where IDF soldiers are alleged to have killed Palestinians under questionable circumstances. Afek said that an inquiry by the UN body is likely to join previous UNHRC commissions in one-sidedly condemning Israeli actions on the Gaza border. Afek stated that “The IDF does not need any encouragement or outside pressure in order to investigate its actions.” He went on to say that many other militaries in democratic parts of the world aspire to have investigatory apparatuses as serious as the one belonging to the IDF. With regards to the IDF’s current review of incidents in Gaza, Afek said that its fact-finding mechanisms were making fast progress and that he himself would “not hesitate” to order full criminal probes where they might be necessary. Afek noted the High Court of Justice’s decision last week in declaring the IDF’s open fire rules on the Gaza border legal. Afek cited statements from the High Court’s justices, relating their recognition that amongst the crowds of protesters at the border there were also members of Hamas and agents from other terrorist groups. It is interesting to note that in his statement Afek made no negative remarks about the current International Criminal Court (ICC) prosecution, which is in the preliminary examination stage of reviewing war crimes allegations against the IDF. However, the ICC has not yet decided whether it will open up a full criminal probe into the allegations.